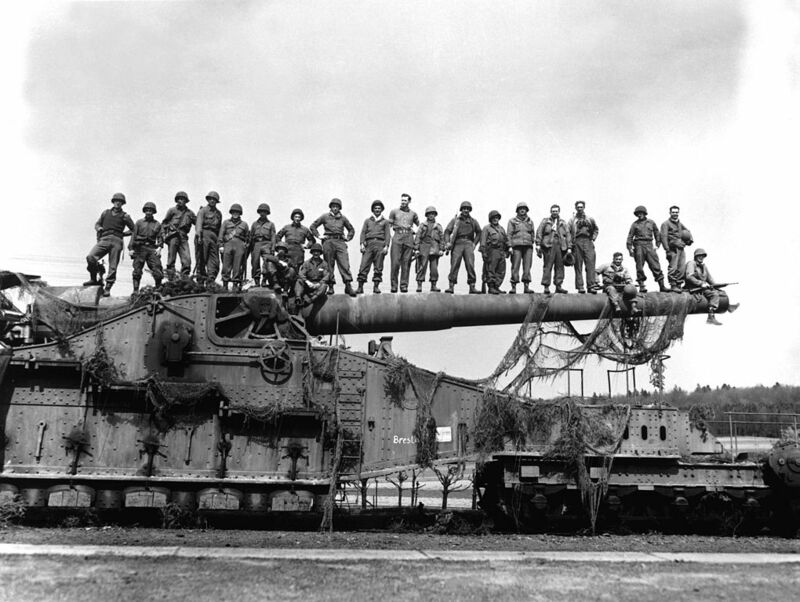 U.S. troops captured this colossal 274.4 mm railroad gun from the Germans near Rentwertshausen in Thuringia, Germany on 10 April 1945. 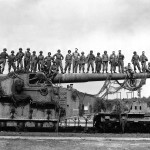 The 30-meter long barrel easily accommodates the 22 soldiers proudly standing on top of it. This gun and others like it were originally mounted on French battleships, but were converted to railway artillery during World War I. They were captured by the Germans when they invaded France in 1940.